To stay healthy, you probably know that you need to eat right, get plenty of exercise and rest, and avoid bad habits such as smoking. But, it might surprise you to learn that what you believe in can have a big impact on your health and longevity. “There have been a lot of studies, and more are coming out all of the time, that show how patients with strong spirituality can improve their health from a variety of chronic conditions, like hypertension, heart disease, recovery from surgery and more,” said Dr. Michael Torosian, a surgical oncologist at Fox Chase Cancer Center in Philadelphia, and co-author of the book, Spirit to Heal. “Spirituality is where people find meaning in their life. It’s something higher than themselves, though not necessarily attached to religion,” said Patricia Megregian, a board-certified chaplain and executive director of the Integrative Medicine Initiative at Children’s Memorial Hospital in Chicago. People with high levels of religious beliefs or spirituality have lower cortisol responses. Cortisol is a hormone the body releases in response to stress. People undergoing cardiac rehabilitation feel more confident and perceive greater improvements in their physical abilities if they have a strong faith. What’s not known is exactly how spirituality or a positive outlook can cause these changes. According to Torosian, there are two popular theories. The first is known as the relaxation response. When the body is relaxed, your heart rate, blood pressure and breathing rate all go down, which decreases the body’s stress response. The other theory is that spirituality can affect immune-system function. “Spirituality, faith, church attendance improves immune function in ways that can be measured, like an increase in white blood cells,” he said. 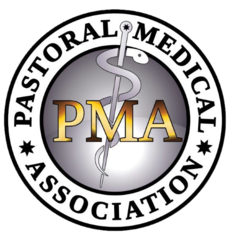 Dr. Keith and Laurie Nemec’s comments on spirituality can boost your health. Very interesting study again linking body, mind and spirit on what they have consistently shown that people with strong spirituality can improve their health from a variety of chronic health conditions. What the studies have shown are people with high levels of religious beliefs or spirituality have lower cortisol responses, and again cortisol is a hormone that the body releases in response to stress. Spirituality and practice of religion have recently been associated with lower progression of Alzheimer ’s disease. Those who have regularly attend organized religious activities may live longer than those who don’t. Regular participation lowers mortality rate by 12% a year. People undergoing cardiac rehabilitation feel more confident and perceive greater improvement in their physical abilities if they have a strong faith. And increased levels of spirituality or religious faith may help substance abusers kick their habits. According to the research they said that spirituality, faith and church attendance improve immune function in ways that can be measured. Like an increase of white blood cells. So this shows how one affects the other. 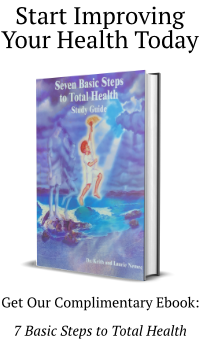 Seven Basic Steps to Total Health™. So to summarize, the study shows yes, spirituality and religion can balance body, mind, emotions and spirit. And balance the whole system, but truly it is the faith that brings you to the highest level because the faith is walking out what God has put into the heart, instead of what the world system has programmed into the head. Whereas religion will have beneficial effects in health, but more so because of being amongst others in a common group, a social setting, feeling the support of each other. Faith is feeling the total support and connection and oneness with God.